Polypropylene Products is a family run business formed 7 years ago. The Proprietor, Andrew Fulcher has 43 years of design and manufacturing experience in the FIBC bulk bags and sacks industry. Polypropylene Products operate out of a 9,000 square foot factory in Bradford , West Yorkshire , UK. 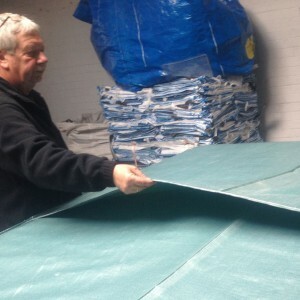 Using our extensive technical design and heavy duty industrial sewing expertise, we manufacture , rework and supply a diverse range of standard Polypropylene Bags or sacks and bespoke products to industries including Construction, Agricultural and Transport. We also provide solutions to the cellular foam industry and many more. Polypropylene Products can design products for the purposes of industrial packaging, carriage, storage or transportation. Whatever your requirements wheather it be a requirement for standard Polypropylene Bags or a bespoke solution , we are confident our flexible design service can provide the bespoke solution for your needs. A visit can be arranged at a location of your choice or at Polypropylene Products in Bradford , West Yorkshire in the North of England . A sample/prototype can be produced to be quality checked prior to commitment. We use the excellent services offered by PP as we know they will be diligent, work in good time and really do a good job for us. They are invaluable as a back-up to our business and I recommend them highly. We manufacture and supply a diverse range of standard and bespoke products to a wide variety of industry sectors. Our technical design expertise and first-rate manufacturing facilities can ensure a quick turnaround for your order.